Several libraries in Suffolk are holding colourful events to celebrate Elmer the Patchwork Elephant this month. 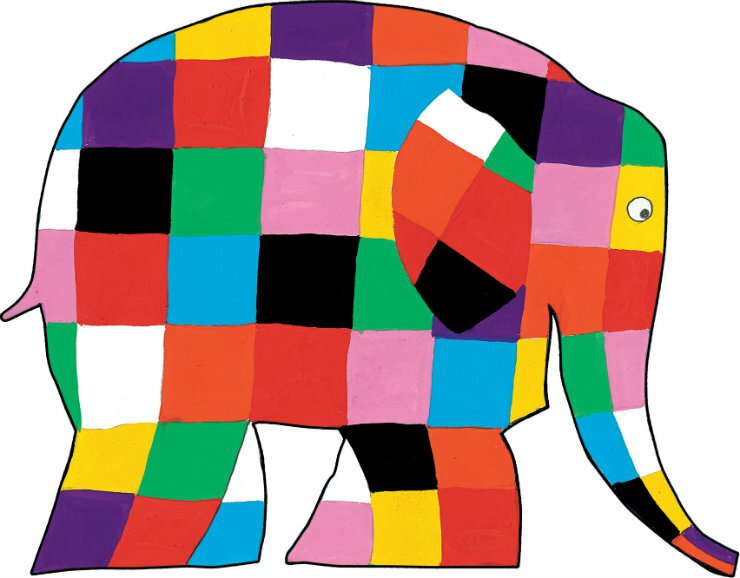 Elmer Day celebrates the ongoing popularity of the colourful elephant who has featured in over 30 books by David McKee. Elmer Day is also a celebration of reading, elephants and accepting yourself and others. Activities will be taking place across the country with children being encouraged to dress up in bright colours. Ipswich County Library's celebration will be extra special as St Elizabeth Hospice are lending them their original Elmer the Patchwork Elephant sculpture from Friday 25 May - Wednesday 30 May, when he moves on to the Suffolk Show. His appearance comes ahead of 'Elmer's Big Parade Suffolk' fundraising art trail in 2018-19. Following the huge success of 'Pigs Gone Wild' in 2016, the hospice are teaming up with Wild in Art and Andersen Press to create a special trail in Ipswich featuring 50 full-size statues of Elmer, and around 100 'young Elmers'. The 2019 event coincides with the 30th anniversary of both St Elizabeth Hospice and the first Elmer book. Businesses who are interested in sponsoring the hospice's last few statues can find out more on the Partners and Sponsors page of the Elmer's Big Parade website. The hospice are also encouraging schools and youth groups to get involved with the campaign's learning programme and decorate their own 'young Elmers'. You can find out more on the Learning page of the Elmer's Big Parade website. The first Elmer book was published in 1989. It was inspired by an incident where McKee’s mixed-race daughter was verbally abused. His stories promote acceptance both in other people and ourselves and have sold millions of copies round the world.